The beaches are long, the sand is golden and the waters are crystal clear. No we’re not describing the Costa Blanca, Brava or del Sol. We’re about to take you on a tour of the Costa de La Luz, which has beauty to rival any other costa, but with rather fewer other expatriates, in a more traditionally Spanish setting. Tourism isn’t king around here and it’s a welcome change. The Costa de la Luz – the Coast of Light – lies on Spain’s southern Atlantic coast. It begins at Tarifa, extends through the Province of Cádiz and the Province of Huelva, right up to the mouth of the Guadiana River. It is comparatively unspoilt by development and is very Spanish – in fact Spaniards are the main tourists in this region. In the smaller villages people may not speak English, but on the coast, and particularly in the main towns, you will find English speaking people. You could describe the Costa de la Luz as “Spain’s Secret Costa”. You could describe the Costa de la Luz as “Spain’s Secret Costa” in that it is unknown to many British and North Europeans who generally head for the Costa Blanca, Costa del Sol and Costa Brava. That is not to say there aren’t any people from these countries living there. 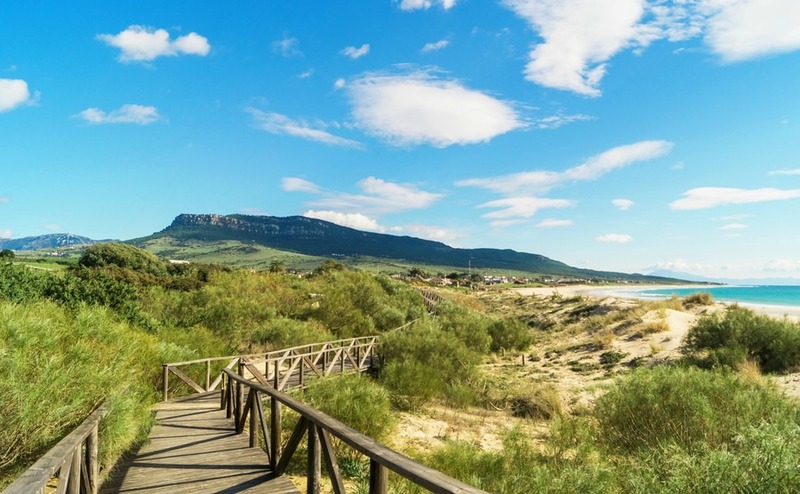 It is the coastal destination of choice for those who want a more authentic Spanish experience, from its culture and cuisine to its many miles of unspoilt sandy beaches. 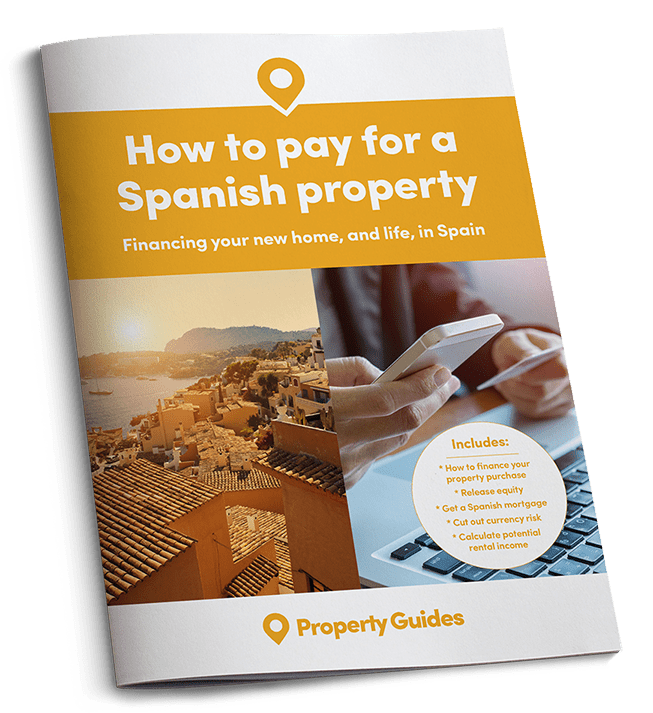 If you are ready to buy in Spain, you’ll have a few financial matters to sort out. For guidance and the most personal service, speak to Smart Currency Exchange. Seville Airport is less than an hour and a half drive from Cádiz. EasyJet, British Airways and Ryanair all fly there from various UK airports. Jerez Airport is served seasonally by Ryanair and Thomson from the UK. You might choose to fly to Faro Airport in Portugal, followed by a transfer across the border into Spain. You could also fly to Gibraltar, walk across the border to La Linea de la Concepción, where you can hire a car. Please note: there are sometimes restrictions in place at the Gibraltar/Spanish border. The Costa de la Luz averages very warm temperatures throughout the year: 16°C in January and 31°C in August. Rainfall tends to be heaviest in November, December and January, with virtually none in the summer months – the annual rainfall is relatively low. It can get pretty blustery down here, making it a hotspot for water sports. Tarifa is Europe’s kite surfing capital and therefore attracts a lot of young people, which in turn means plenty of nightlife. The old town is small but full of cafés, shops, whitewashed houses, Andalusian courtyards, pretty churches and squares. The beach offers a vast stretch of white sand and clear waters, where you can either relax or partake in the many water-based activities on offer, including dolphin and whale watching. Well known for its tuna, which is caught daily, Tarifa is full of tapas bars serving every kind of fresh seafood, good inexpensive wines and other Spanish delights. North-east of Tarifa is the Parque Natural del Estrecho, which offers unspoilt countryside, an abundance of wildlife, wild flowers and wonderful trees. Property is quite expensive around here, particularly if you are looking for a villa with sea views close to Tarifa. For example a three-bedroom cortijo (traditional rural Spanish property), in need of major renovation, will set you back around €250,000 (£277,200). While a townhouse in the old town with four-bedrooms will have an asking price of around €345,000 (£382,600). Conil de la Frontera is popular with families thanks to its 16 kilometres of pristine beaches, drenched in more than 3,000 hours of sunshine a year. That’s twice as much as southern England. Situated between Tarifa and Cádiz, in the Cádiz district, Conil de la Frontera is popular with families thanks to its 16 kilometres of pristine beaches that are drenched in more than 3,000 hours of sunshine a year (that’s twice as much as southern England). 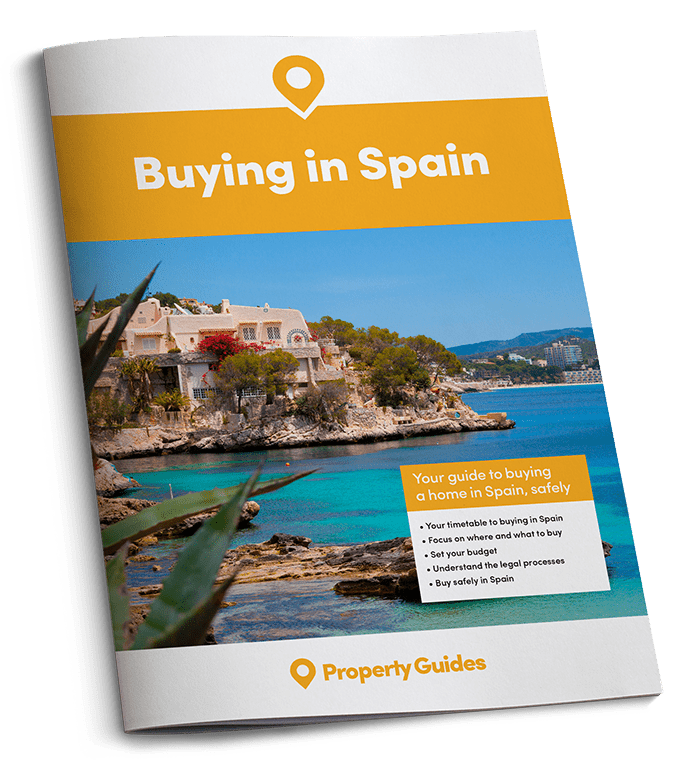 The town itself is a typical old white Andalusian fishing settlement that is protected by strict planning regulations, meaning you won’t find any high-rise buildings synonymous with resorts elsewhere in Spain. Steeped in history, El Puerto de Santa Maria is where Juan de la Cosa finished mapping the New World in 1500. A trading post of importance during the 16th and 17th centuries, the town benefitted from many beautiful buildings constructed by merchants and other wealthy townspeople. The old district has some fine examples of buildings from the 18th and 19th-centuries. Many people from Seville have built lovely second homes here, which they visit in the summer months to enjoy the town, beaches and excellent sherry bodegas. It is just 10 kilometres across the bay of Cádiz from Cádiz itself, and the town has a lovely tree-lined avenue and a maze of little streets. Tourism has become one of its main sources of revenue and there are numerous excellent restaurants and tapas bars to enjoy. To see what you might be able to buy in the Costa de la Luz, pop over to our property listings. One cannot mention the Costa de la Luz without including Cádiz. One of the earliest settlements in Spain, Cádiz was founded in 1100 BC by the Phoenicians, and to this day remains one of the country’s most important ports. In the 18th-century Cádiz became the centre of trade with America in gold and silver and with the trade came wealth. Some wonderful buildings appeared and can be enjoyed today. The centre is beautiful with large open squares, narrow alleys and tall houses. The town has a very relaxed atmosphere for a working port, plenty of flamenco bars, jazz bars and other cultural treats to enjoy. As you might expect, there are some wonderful restaurants serving fresh seafood and other local dishes, as well as tapas bars and a casino. 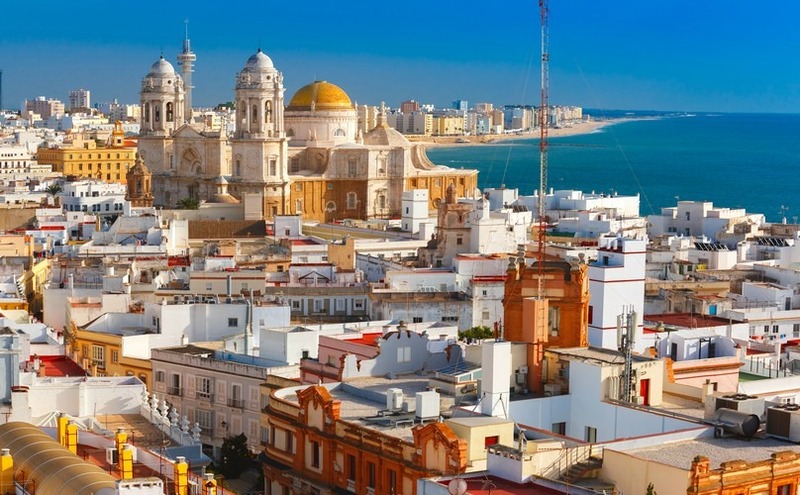 The average price of a two-bedroom apartment in Cádiz district is around €220,000 (£200,000). The average price of a four bed-villa in Cádiz district is around €700,000 (£630,500).